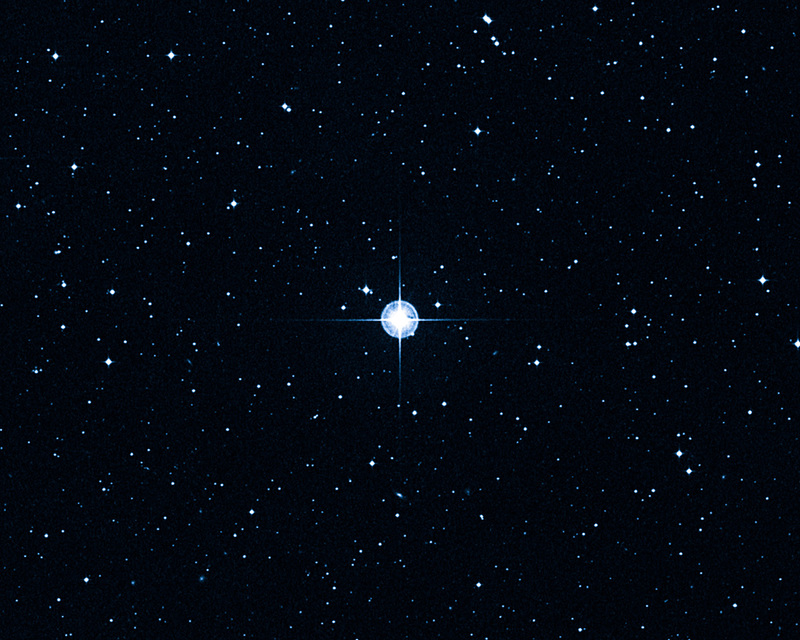 This is a Digitized Sky Survey image of the oldest star with a well-determined age in our galaxy. 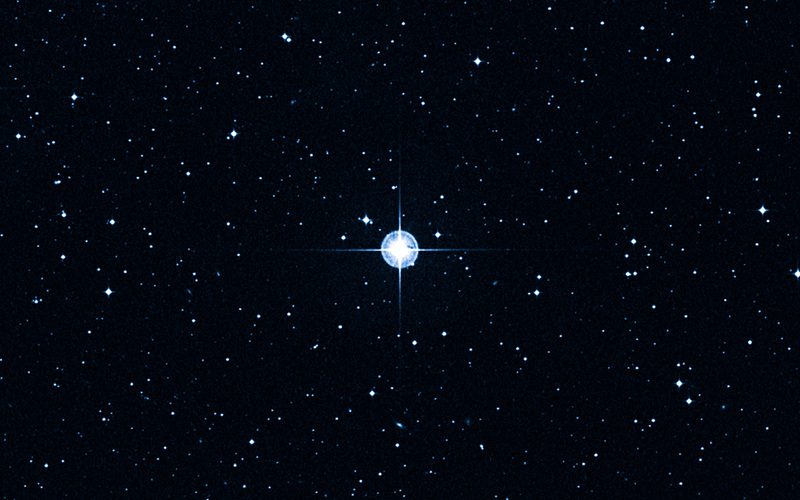 The ageing star, catalogued as HD 140283, lies over 190 light-years away. 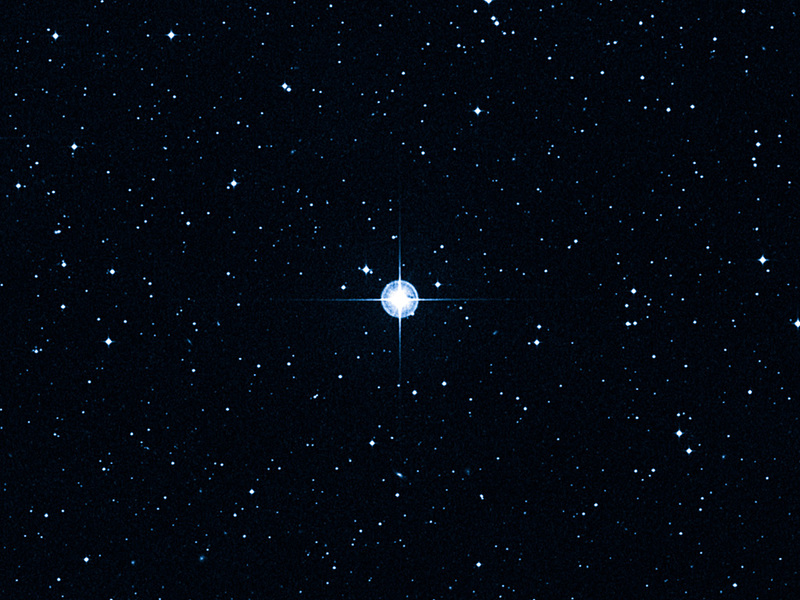 The NASA/ESA Hubble Space Telescope was used to narrow the measurement uncertainty on the star's distance, and this helped to refine the calculation of a more precise age of 14.5 billion years (plus or minus 800 million years). Position (Dec): -10° 55' 51.51"